Scribbles by Sandy: Scribbles Designs is FIVE!!! 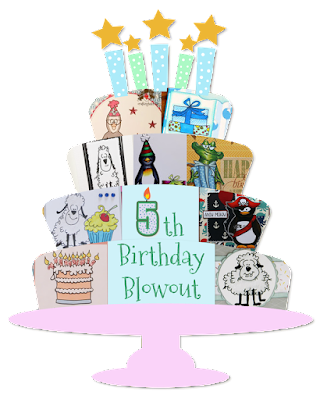 Scribbles Designs is celebrating its 5th birthday this month! On January 15, 2013, we had our very first challenge. Five years later we're still going strong. In fact, we've grown yet again! Our team is now larger with a total of nine full time members! and Suze started the following year in Jan. 2014. Pat in April of 2016 and Pippa a year later in April of 2017! Helen & Lori--who officially start today! extra projects made by DT and GDT alike! and we've increased the number of Challenge Blogs we sponsor each year! plus there are over 150 FREEBIES! and is still home to selling designs by Décosse's Dynamite Doodles as well! and we plan on accomplishing a lot more!!! Challenge AND New Release Party! First things First! Tomorrow, January 16th, will be the first day of a THREE DAY New Release Party showcasing three fabulous new sets that Sandy has been hard at work putting together! On each of those days we'll spotlight one of the new sets along with providing samples from each of the Design Team Members and Guests for this quarter. While normally Lisa D. would have introduced the new guests on the second Saturday of the month (which was the 13th), our two new guests will instead be joining us for the New Release Party. On each day of the New Release Party you will have the opportunity to win one of the images from the set. In fact, each of the DT Members and our Guests will be giving out the main image they used on their project to one lucky commenter on their individual blog. Then, for your chance to earn the full set of the day, you'll need to leave comments on the individual blogs listed PLUS on the New Release post itself. images and samples we have lined up for you! Next Up, today will also mark the start of our latest challenge! Be sure to play along for your chance to win some wonderful prizes! One Lucky winner will have the opportunity to win ALL THREE of the sets released this week, by following our instructions carefully! GET SET, to enter a project into our challenge! But that isn't all! Over the course of the next month, we're going to have some limited time freebies, possibly a flash freebie and some special events you can participate in for your chance to win additional goodies! Be sure to follow us by email so that you don't miss a thing! starts right now and YOU are all invited!!! It is time to go and grab a party hat and light up exactly FIVE candles on the birthday cake! While you are at it, hang some streamers and blow up a few balloons too. Scribbles Designs has just turned FIVE and you are all invited to join in the birthday celebration! In honour of this special occasion, it is only fitting that the theme of our challenge be all about birthdays--yours, mine, a family member's, a friend's, or even an acquaintance's. Hey, maybe you even want to create a card just to wish Scribbles Designs a happy birthday! It doesn't matter who's birthday you are celebrating or how many candles are on the cake. Simply design a card commemorating someone's birthday, or create some other kind of project that celebrates the spirit of birthdays. Maybe you'd like to make some invites for a birthday party of someone who'll be celebrating soon. Perhaps you'd like to design some decorations for an upcoming birthday party. Maybe there is a scrapbooking layout from a recent birthday celebration that you'd like to finally put together and get into an album. Whatever birthday themed project you decide to create, we'd love for you share it with us. Let the birthday blowout begin! We are so thankful that you are here with us on our little spot in blog-land today and are hopeful that you'll be able to join us for this special challenge. Any questions about the challenge? Please read our Rules located in the right sidebar. Be sure to grab it now because it will be back in the store on February 15th! As we are celebrating our fifth birthday over the next month, and it is a combined challenge AND new release party, we will have additional prizes to share. On January 16th, 17th, and 18th, we will share how you can win a copy of the main image used on the DT projects, along with instructions for how to win the set presented on each of the new release days. Comment on every DT and GDT post published on the each of the three new release dates (Jan. 16-18) for a total of nine posts; along with leaving a comment on each of the New Release posts published on this blog during those same days; and finally leaving a comment on this challenge post. That will be a grand total of 13 comments; but don't worry, you'll have lots of time to get them done as the deadline won't be until 11:59 p.m. PST on February 14th. Enter a card into the Birthday Party Blowout Challenge using a Scribbles Designs image. If you are new to Scribbles Designs you can use the freebie offered above or any of the other freebies available in the store (click on the link to go to the store and look for 'Free' under Categories in the sidebar). One person who follows the above rules will win this amazing gift! This challenge will end on February 14th at 9:00 p.m. PST. The list of winners will be published in a separate post, sometime between the 20th and 25th of the month, if everything goes according to plan. Regular winners will get to choose their images from those in the store and will have until March 14th to claim their prize. The winner of all three New Release Sets will also have the same deadline to claim their prize. Be sure to check for the winner announcement if you have entered this challenge. Please be sure to join us again tomorrow at Scribbles Designs Challenges for DAY 1 of our New Release Party, starting at 7:00 a.m. PST. You are sure to love the images that are part of this first new set! We can't wait to share the set, along with the wonderful samples our DT have prepared! We look forward to seeing you all again at that time!!! And of course, we also look forward to seeing your challenge entry! Please enter your project using the link up below. Please add SD after your name if you have used a Scribbles Designs image on your project (worth 2 entries and necessary to be eligible to receive the special prize package of all three new release sets). Also, if you'd like to be a GDT during a future quarter, please add GDT after your name.